Models of Success and Sustainability (MOSS) is an Australian based NFP industry body for individuals, corporations, governments and not-for-profit organisations interested in Corporate Social Responsibility (CSR) and Sustainability, founded in 2005 by Anne-Maree McInerney (formerly Huxley). It fosters innovation and responsible business practices globally through education, training, networking, tools and advice - driving sustainability, zero waste, innovation and competitive business success. More recently we've also partnered with an array of investment groups to support sustainability innovation, business growth, the roll out of clean technology and the development of much needed infrastructure. So what are your needs? The World Economic Forum suggests 80% of the US$3.2 trillion global consumer good sector is lost irrecoverably each year due to the current inefficient 'make, take, waste' model. How much is that worth to your business, community or economy? If we are to successfully achieve the Sustainable Development Goals, limit the impacts of climate change, provide water, housing, food and energy security to a global population in excess of 7.2 billion that is forecast to be 9.6 billioin by 2050, then we need to consider the impact of the decisions we make today. Learn - Grow - Prosper. Wether you are just starting out as a sustainability officer or are an industry veteran - MOSS is here to help you and your organisation grow and prosper as we transition to a low carbon, zero waste economy. Learn from industry experts and your peers, discover best practice, even become a Sustainability Leader. We provide a plethorea of benefits such as mentoring and 24/7 access to our Members Only Resource Centre with >1000 reports, videos and podcasts to aid your business case and professional development. Resources to help you make the best decisions for your business. 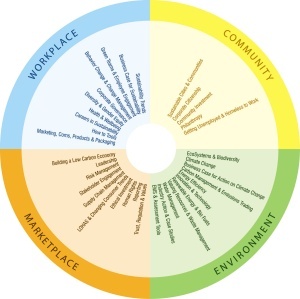 For convenience and ease of navigation we've listed topics under the 4 key impact areas of Workplace, Marketplace, Community and Environment. We've also set up a separate library dedicated to the blue and circular economy. We aim to integrate the two later in the year, but for now, they are two separate resource centres. The significant problems we face cannot be solved at the same level of thinking we were at when we created them, so join us to today to discover a world of opportunities to improve your economic, social and environmental performance, create jobs and build healthy vibrant sustainable businesses and communities - so there is enough for all, forever! Are you looking for products and services from reliable sources? Why not choose someone from our member directory! Discover the full listing here. When most people think about the environment or sustainability they think green - but for many it's considered too expensive and because of what is often a linear approach, green has proven to have many unintended negative consequences. A new business model that focuses on systems integration, inspired by nature with zero waste that underpins a more sustainable approach to economic development has emerged. It's called the The Blue Economy and its shaping a new way to do business. The Blue Economy is creating jobs (millions of them), solving problems, teaching us to be more entrepreneurial and collaborative working with what we have, opening the door to innovation led by physics, inspired by nature - building on the green economy - but doing it in a systemic way, with new business models and innovation, where there is zero waste, multiple new revenue streams and multiple benefits including building capital in all it's forms. 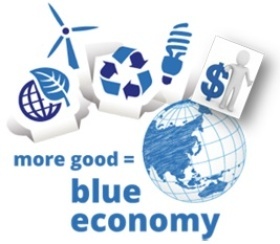 Through a systemic approach, standing on the shoulders of the Green Economy, the Blue Economy provides us the principles, methodologies, business models and technologies to deliver win:win solutions to a changing economic landscape in which resource depletion and social costs are untenable and unsustainable. Its 100+ game changing innovations as presented to the Club of Rome, are set to generate 100 million new jobs in the next 10 years. These mostly disruptive and outcompeting models draw on the decennial works and the latest bodies of knowledge, research, experiments, and successful businesses of pioneering entrepreneurs, scientists and economists worldwide. Whether you are an entrepreneur, manufacturer, miner, farmer, government, NGO, business advisor, sustainability consultant, small business or a multinational company - you need to know about the The Blue Economy to enable you to achieve your business goals in a way that reduces costs, builds resilience and generates value, whilst building capital in all it's forms. Contact MOSS today to learn more. MOSS provides an array of tools, workshops, audits, mentoring and consulting services to support C Suite Managers, Boards and consultants. Our latest events include How to improve Sustainability Communication strategy, skills and storytelling ability Workshops and Doing Business Better - an Introduction to Blue and Circular Economy that allows one to take a deep dive into innovation that's generating jobs (millions of them), turning waste into revenues streams, saving millions through the use of ground breaking technologies and delivering a new way to problem solve some of the greatest issues of our time (locally and globally). Seeing the rules of the game have changed - you will find both provide great support to achieve your economic, social and environmental goals. We've spent a lot time searching for the worlds best tools as well as collaborating with industry experts to develop tools that will help transition organisations to a low carbon economy and produce more robust and profitable businesses. Tools that will help organisations measure and reduce your water, waste, resources and energy use. Tools that helps local governments and developers in the early stage of planning and design of precincts, buildings and associated infrastructure. Tools that help educate schools and local communities on sustainability and tackle the challenge of climate change. Tools that will help mainstream and embed sustainability and assist reporting. Even tertiary qualified mentoring programs to help disadvantaged youth and nationally accreditated Stakeholder Engagement programs. To learn more - call us today on 03 987 99886. Join a discussion, workshop or webinar and explore thought leadership and specialist views on a raft of topics. 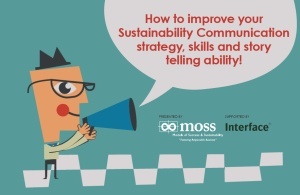 Whether you want to understand how to Comunicate Sustainability or Build Resilience into your business, MOSS can assist you. Check out our events program here or talk to MOSS about designing a program specifically for your needs. Note MOSS is currently in hibernation planning a new range of resourses and courses to support individual and company growth, so don't dispair that there's not a large range of events currently posted. All will be revealed soon! 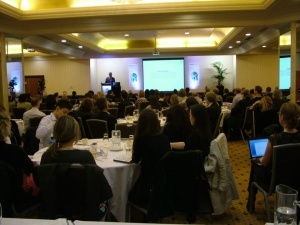 There's a plethorea of free resources available on our CSR and Sustainability Links page. Find out what others are doing in the world of CSR, ESG and Sustainable Development and much much more...or join and gain full access to our Member Resource Centre with hundreds of reports and programs to aid your business case, policies or program development to address areas of interest such as diversity, supply chain management, sustainable marketing and greenwashing, ethics, human rights management and much much more. If you still want more...We are not big on reinventing the wheel, so rather than have our own book store or book review check out the latest array of book on CSR and Sustainability from CSR Wire covering a wide range of topics including books on sustainable investing, guidebooks on running a sustainable and ethical business, MBA guides and much more. "The challenges we face with climate change are not challenges at all, but incredible opportunities. In fact, I believe it to be the greatest wealth creating opportunity of our generation as we move to a post-carbon economy." Jose-Maria Figueres, Businessman, Former President Costa Rica, and Chairman Carbon War Room. 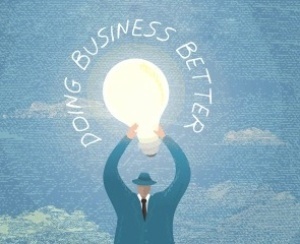 "If you want to build a business to last, you must take Corporate Social Responsibility seriously. Talented employees demand it, informed customers expect it, and longterm investors will require it. Embedded in the business, CSR can be a source of creativity and innovation, leading to new products and services, access to new or under-serviced markets, or even new business models." If you want information about Careers in CSR and Sustainability - refer here. Discover who's providing leadership in the CSR and Sustainability space. Climate report card from BoM and CSIRO's joint biennial State of the Climate Report can only be described as a shocker. EU agrees to ban throwaway plastics to limit ocean pollution. Warming beyond 1.5C will unleash a frightening set of consequences and scientists say only a global transformation, beginning now, can avoid it. Major UN report sounds urgent warning to take action. More than philanthropy the SDGs are a $12 trillion opportunity for the private sector. Economists put a Price Tag on the Great Barrier Reef. But will this be enought to save it? The moral argument for protecting animals is compelling, but so is the economic argument. Aussie companies lag on climate change. Time to wake up and realise you are losing reputation, profitability and competitiveness. Persistent Organic Pollutants (POPs) next big issue for the Environment. Qld Gov first to ban the use of PFAS in firefighting foam. Sustainable Business can unlock at least US$12 Trillion in new market value, and repair economic system. The mainstreaming of the Circular Economy. Discover how Addidas and others are benefiting from the Circular Economy. Pope urges citizens to keep politicians accountable and to save the planet from climate change. Pope Francis is the first pontiff that has placed environmental causes at the heart of his papacy, denouncing what he sees as a throwaway consumer culture and rampant, market-driven economies. The European Union has hit its carbon-cutting targets six years early according to new data. Investors care more about sustainability than many executives believe according to a new MIT report Investing for a Sustainable Future. The New Plastics Economy: Rethinking the Future of Plastics. This ground breaking report provides a vision of a global economy in which plastics never become waste, and outlines concrete steps towards achieving the systemic shift needed. Closed loop, cradle to cradle, next-gen recycling? No matter what you call it, companies are already jockeying for position in the trillion-dollar material reuse market. Tackling climate change NOW could save $1.8 trillion. Tackling climate change is expensive. But not as expensive as doing nothing! 10 brilliant tips for Sustainability Teams from Richard Gilies Veteran UK Sustainability Manager. 100 Innovations Proving Potential for sustainable cities.Discover the top 100 innovations leading sustainable development in 151 countries. For more inspiring sustainability, conscious capitalism and new economy NEWS, VIEWS and EVENTS - check out our Newsletter Archive. Want to be kept up to date with industry news from across Australia and around the world? If so, subscribe to our quarterly edition of MOSS News, Views and Events and we'll keep you up to date. IT'S FREE so click here to subscribe. Alternatively follow us on social media for regular individual story postings. To access our previous newsletters please Click Here.